Click Here To Go To SilverShake. In contrast to the shorter days, lengthening hemlines and cooling temperatures, the world of jewelry heats up this fall casting welcome shades of warm jewel-tones into the dimming corners of 2007. Inspired by equal opportunity and the unisex ethos, this style is epitomized by the classic suit: wide slacks and double-breasted jackets. Military wear and uniforms are key influences this season, so a classic military trench length coat would be an ideal over-garment. A great conformist outfit for the office, the ‘Gender Bender’ rebels with the addition of feminine accessories: Bold cuff bracelets in sterling silver, plain silver and gold plated chains, charms and silver bangles add a touch of high-octane sheen to the somber but smart monochromes of raven black, flannel gray and off-white of the ‘Gender Bender’ suit. The ‘Diva’ is fashion's tribute to the show-stopping female form exhibiting an elegance echoing Hollywood's golden age. Purple, ruby red or sapphire blue floor-length gowns with plunging décolletages, elbow-length gloves, Mary Jane platform pumps, bold red lipstick and Veronica Lake waves are the essential elements. Accessories to match such extravagant evening and event-wear this season come in the form of chiffon and velvet wraps, feather boas, grab bags encrusted with multicolored crystals and sequins. Oversized baubles are the perfect ladylike extravagance: huge silver cocktail rings and earrings burning with scintillating Swarovski crystal, Amethyst, Garnets, CZ, Topaz and Citrine. This style is inspired by 30’s and 40’s fashions where the ideal was full-figured, curvaceous and well…female! The essential elements for this look are pencil line or easy-to-wear slim-fit skirts with pleats and hemlines finishing just below the knee tapered at the waist with a slim belt, strong shoulders and a ladylike blouse with more pleats on the sleeves and mid to high-heeled shoes. On those colder days the whole look can be finished off with a thigh-skimming cocoon, cape style or a shorter length overcoat tied at the waist with a broad belt: a high profile accessory for fall and winter. 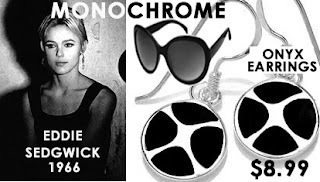 This minimalist look accommodates discreet jewelry such as silver charm bracelets and gold plated heart pendants, just as much as bolder statement-jewelry like jeweled metal bangles with pretty delicate designs and oversized silver jewelry in CZ, Murano glass or Swarovski crystal. In contrast to the defined pencil silhouette one of the keynote looks this fall is the oversized jumper dress in giant stitching. Thick and chunky cardigans with knitted ruffles are the alternative to coats. These can be completed with outsized scarves and ski jumpers in extravagant knits paving the way forward from fall to winter. Covering up is critical business this winter and fall season, equestrian-style quilted coats, and padded jackets are seeing a comeback. As the limelight falls firmly on the waist, thick belts are this seasons defining accessory. This particular look is all about textures, offset these soft materials with glittering metallics: palladium, platinum, white gold or sterling silver jewelry depending on your budget. Alongside the traditional muted rustic fall colors of brown carafe, burnt ochre, green moss, stargazer and shale green, comes a bevy of warm jewel tones in cashmere rose pink, chili pepper red and yellow lemon-curry. However the dominating color this season is purple wine, a regal shade that will sway fashion heavily this fall. Choose solid masses of complementary color; employ the same shades in a number of layers, and complement with similar colors and tones in your accessories. Black is back this fall and winter with matt jet-black tones overlaid on satin raven-blacks sparkling with crystals, creating a contrast of textures and tones. Grays ranging from flannel to metallic are essentials as are snow queen whites and creams. Shine on! Elegance and opulence are keystones in autumn and winter 2007. Finish your desired looks with additional accessories fashioned from exotic feathers, paillettes, outsized crystals, and dresses drenched in sequins. Matt & Metallic: The metallic look in silver and bronze are big again this autumn, wear separates in different finishes for contrast: matt skirts with shiny blouses, shiny trousers and jackets with fine knits. Big & Bold: Oversize crystal accessories in silver bracelets and bangles. Amethyst rings and earrings, pink topaz pendants, sparkling red cubic zirconia, ostentatious Murano glass…Go for heavy rather than delicate decoration! Purple Reigns: From lazy lavender, hazy heliotropes to profound violet: Purple is the princess of all she surveys! White Metal Cuff Bracelets & Bangles: The dominant jewelry style this autumn and winter is the application of big gems, crystals and enamel into bold palladium, rhodium plated, and silver statement jewelry. A necessity! Baubles! Cocktail rings are the second must-haves for the party season. At silvershake.com you’ll find them with options of a variety of over fifty gem types from Amethyst to Zircon to match your outfit, adding the quintessence of ladylike femininity. Speaking for myself, the world of seasonal ‘Haute Couture,’ or high fashion as we know it, is exactly that…High! In fact, in financial and physical terms it’s so high that it’s completely out of my reach! Unfortunately no excuse, financial or otherwise, is good enough to appease the skinny fashionista that sulks beneath the surface of this mushrooming 30-year old mother of two on a budget! So how can I shape up and get myself in tune with this summer's fashions? Well, aside from an on-hand 24-hour liposuction crew, more face-lifts than downtown New York and the sweetest of one-cal sugar daddies…not much! Happily, with the on-line world of information and affordable choice, those inconvenient inadequacies, stretched elastics and even tighter purse strings are as they say, excuse my French, ‘Passé.’ With the Internet’s choices, there really are no excuses not to update our wardrobes and still stay within budget! So what are the hottest fashion tendencies, colors, accessories and jewelry styles for the summer 2007? The futurist style is at the opposite end of the spectrum from the earthy Tribal and Boho styles. It is also one of the most daring trends to come out this summer. Vogue dubbed it: Space Odyssey, inspired by Kubric’s 2001 movie and David Bowie’s glam-rock Ziggy Stardust. These clothes have a futuristic hard edge, an 80s touch with a twist of punk-rock attitude. Mini Dresses: 60’s styling don’t be afraid to show those legs off! Wedge Espadrilles and Platforms: Great with shorts and minis. Hair bands: Wide and bright or slender and feminine. Silver Accessories: Shiny glittering handbags– Bling it up! Bold Jewelry: One large item or an assortment of smaller ones bunched as one - big wooden bangles, layered and cuff silver bracelets and beads. Jewels & Gems: Bling-Bling natural gems and crystals, blue and yellow topaz is a favorite. Written by Silver Fox for SilverShake, an online retailer of summer jewelry fashions for 2007 and sterling silver jewelry at wholesale prices. Purchase today and get silver jewelry worth up to $60...Free! The earliest European connection to the word Ruby, referring directly to the gem type and not describing the color, was ‘Rubinus lapis’: Latin for ‘Red Stone’. ‘Rubinus’ from the Latin ‘Rubeus’ originated from the ancient Proto-Indo-European language and its word ‘Reudh’: meaning ‘Red’. Proto-Indo-European, dating back to 3,500 B.C., was the root of all languages from Europe to India. Aside from European Greek or Latin, its influences can be seen in the Indian language of Sanskrit dating from 400 B.C., and its word for ‘Red’: ‘Rudhira’. Red is the only color in the spectrum that shares common etymological links that stretch across continents this far back into ancient history. And the fourth row a beryl, and an onyx, and jasper: they shall be set in gold in their inclosings. The Ruby was referred to as ‘Carbuncle’. This literally meant ‘A little burning coal’ from the prefix ‘Carbo’ as in ‘Carbon’. Pondering a ruby one can see the relevancy of the description: its deep reds burning like an ember in an open fire. However, it seems that the ancients of the near east, unaware of the differences in red gemstones, used the term ‘Carbuncle’ as a universal term for all that was red including garnet, tourmaline and spinel. This confusion resulted in the mistaken identities of two of the most famous gemstones in history: The Timur Ruby and The Black Princes Ruby, one now in the Crown Jewels of England and the other in Queen Elizabeth II’s private jewelry collection. In 1815 both gemstones were discovered to be spinels. Back east, home to the world’s most ancient and beautiful Ruby deposits, it seems that the art of Ruby identification was much more developed. On the ancient Southern Continent the Indian Sanskrit writings referred to Ruby as ‘Ratnaraj’: ‘The King of Jewels’, describing it as the most precious of all gemstones, the prized possession of Rajas and Emperors alike. 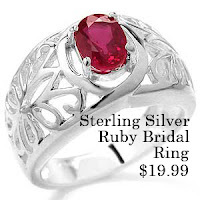 Written for SilverShake, an online retailer of sterling silver jewelry and silver jewelry at wholesale prices. 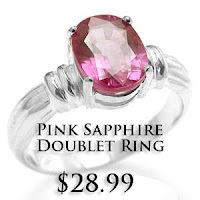 Purchase today and get gemstone silver jewelry worth up to $60...Free! The ancient Hebrew word for Amethyst was ‘Ahlamah,’ this was derived from the word ‘Halom’ meaning ‘To Dream.’ There can be little doubt that this etymology shows a strong spiritual link between the gem and its believed powers to create visions. 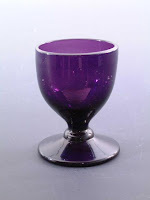 In the same way the Greek ‘Amethystos’ was derived from words associated with the gems powers to prevent intoxication: ‘A,’ meaning ‘Not,’ + ‘Methyskein,’ meaning ‘Make drunk.’ This last word was derived from ‘Methys,’ meaning ‘Wine.’ The Greek compound of these words became ‘Amethystos’ which later was interpreted in Latin as ‘Amethystus,’ ‘Ametiste’ in Old French and finally ‘Amethyst’ in Middle English. Although the exact beginning of the word Amethyst, and its connection to wine and curing drunkenness, cannot be pinpointed it must have been somewhere prior to 300 B.C. and the Septuagint who used the Greek ‘Amethystos,’ in their translation of the Old Testament. 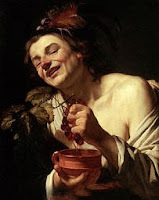 The association of Amethyst to wine may well have originated from this classical Greek tale of Bacchus, also known as Dionysus god of ecstasy, wine and the vine. This article was written by David-John Turner for the Silvershake website, an online retailer of silver jewelry at wholesale prices. 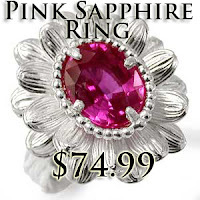 Purchase today and get gemstone silver jewelry worth up to $60...Free! Copyright © www.silvershake.com. All Rights Reserved. The earliest written records that show conclusive proof of both the words Sapphire, and lapis lazuli being used to describe the gems as we know them today, comes from the 12th Century A.D. ‘Silk Road’ travelogue: The Travels of Marco Polo. Marco Polo was born in Venice in 1254 A.D., and was only six years old when he set out on his first trip to China. At the age of seventeen Marco, accompanied by his uncle and brother, set out for China again. They passed from southern Europe through Armenia, Georgia, Persia, Afghanistan and into what was Turkestan. It was during his travels through the latter area, now known as Badakhshan in Afghanistan, that Marco Polo fell ill, and was forced to stay for one year to regain his strength. During this time he made many excursions into the surrounding areas, and in doing so came across the now famous Badakhshan lapis lazuli mines, which were a recorded source of the blue gemstone for ancient Egypt and Mesopotamia as far back as 3500 B.C. “We went three days journey from thence, without meeting any inhabitants, to the province of Balaxiam, Balascia or Balasagan, which is inhabited by Mahometans, who have a peculiar language…In this country the famous Ballas rubies are found, and other precious stones of great value, particularly in Sicinam…In other mountains of the same province, the best lapis lazuli in the world is found, from which azure or ultramarine is made.” In this passage Polo refers to lapis lazuli, the same gemstone that the ancients previously referred to as ‘Sapphirus’. Literally translated lapis lazuli means stone of ‘Azure’, the word we now use to refer to a shade of blue. The modern English ‘Azure’ is derived from the French ‘Lazur’, in turn originating from the Arabic ‘Al-lazaward’ and the Persian ‘Lajward’, named after the city of Lajward in Turkestan where lapis lazuli was mined. The Lajward lapis lazuli deposits were sourced from the 12th to 14th Centuries. In this period, the Persians had a particular type of pottery called ‘Lajvardina’, which were ceramic vases with a dark blue glaze that was made from a dye derived from lapis lazuli. Another word Polo uses to describe the ‘Azure’ dye in his writings was Ultramarine; this described the same blue pigment made from lapis lazuli. Literally translated Ultramarine meant ‘Ultra’-‘Beyond’ and ‘Marinus’-‘Of the sea’, because lapis lazuli was imported to Europe from distant Asia by sea. After his convalescence, Marco Polo resumed his travels visiting China where he served as translator at the court of Kublai Khan. He became one of the emperor’s favorites, being appointed high posts in his administration and was sent on a number of special missions in China, Burma and India. It was during his travels from Burma to India that he visited the island of Ceylon, now Sri Lanka. “Sailing from Angaman 1000 miles west, and a little to the south, we come to the island of Zelan or Ceylon…This is the finest island in the world, and its king is called Sendernaz…They grow no corn except rice; and they have plenty of oil of sesame, milk, flesh, palm wine, Brazil wood, the best rubies in the world, sapphires, topazes, amethysts, and other gems.” These two passages from Polo’s travels act as comparative proof: one showing lapis lazuli originating from the Badakhshan mines in Afghanistan, the other showing Sapphires originating from Ceylon. Marco Polo’s texts give conclusive evidence that a clear distinction had been made between the two gem types, and that their use was current in Europe by at least the end of 12th Century. After serving 17 years in Kublai Khan’s court, and accumulating great wealth in jewels and gems, Marco made the perilous 2-year journey back to Venice. Three years after Marco returned to Venice, he fought in a war against the rival city of Genoa and was captured. Marco Polo spent a year in a Genoese prison where a fellow inmate, a writer of romances named Rustichello, noted Marco’s travel stories. After being published Marco's book became the most influential travelogue on the Silk Road ever written in a European language, paving the way for thousands of Westerners into the east for centuries to come. However, his travels into the mystic east weren’t rivaled for another 600 years, remaining the most comprehensive written documentation of Asia for that period of time. Written for SilverShake, an online retailer of gemstone silver jewelry and sterling silver jewelry at wholesale prices. Purchase today and get silver jewelry worth up to $60...Free! From beginning to end, the two books of the Bible include passages that draw parallels between the glinting stars in the blue firmament of the heavens and the Sapphire. However, as most gemologists and etymologists agree the description of ‘Job’s’ gem containing “…dust of gold”, does not describe the physical properties of what we call Sapphire. This corundum conundrum is further compounded in the works of the Greek philosopher Theophrastus, successor to Alexander the Greats' tutor Aristotle, and the world’s first mineralogist, who in 314 BC wrote: "…the sapphirus, is speckled as if with gold". A similar observation was made some three hundred years later in 77 A.D. by ‘Pliny the Elder’, who wrote the world’s first encyclopedia entitled ‘Natural History’. 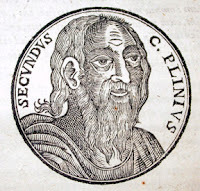 In chapter 37 of the ninth book Pliny states: "…for the Saphirrus also glittereth with markes and prickes of gold." Both of these descriptions provide almost irrefutable evidence that the ‘Sapphirus’ of the ancients with its golden properties was not our Sapphire, but what we now call lapis lazuli. Lapis Lazuli, translated from Latin as ‘Stone of Azure’, was a prolific gemstone found in ancient Egyptian and Mesopotamian burial sites dating as far back as 3000 B.C. Lapis Lazuli fits the ancient gemstone descriptions of Sapphire because in its normal state it contains particles of a mineral called Iron Pyrites. This mineral is also known as ‘Fools Gold’, because of its close resemblance and subsequent confusion with gold. Ironically, the answer to our quest for Sapphire’s earliest roots may lie in the same book by Pliny. However, it lies in an earlier chapter that describes one of the four varieties of a gem variety that was known to the ancients as Indian or Oriental Amethyst. Pliny states: “… A third stone (Variety of Oriental Amethyst) of this class is of a more diluted color, and is known as ‘Sapenos’…” Although, there is a lack of conclusive proof, Pliny’s description of ‘Sapenos’ as a type of bluish-violet Amethyst appears to be far closer both in etymological name, color and geographical location to what we now know as Sapphire. It is quite probable that Pliny's description of ‘Sapenos', as a type of Oriental Amethyst, was the birth of the term we now use for the modern Sapphire. Used as an item of adornment from more than 2300 years, Peridot has been called amongst others: Pitdah, Topazion, Topazos, Topaz, Chrysolite, Olivine, Evening Emerald and Gem of the Sun. In 300 B.C., a group of seventy-two rabbis called the Septuagint was commissioned by the Greek Pharaoh of Egypt, Ptolemy II, to translate ancient Hebrew texts into Greek. These manuscripts were included into the library of Alexandria, and became known as the Old Testament. According to the Septuagint, the Hebrew word ‘Pitdah’ featured in these texts could be translated as Topazion: the Greek word for bright green gems named after their source the Island of Topazion. Today, this Island is known as Zabargad and is a reputed ancient source for Peridot. In 1611 A.D., two thousand years later, Topazion was translated into English in the King James Old Testament as Topaz. For these reasons alone, our Peridot was known for more than two millenniums as Topaz. But what of the actual word Peridot and its etymological roots? The origin of the word Peridot itself is unclear, but one thing is sure, the term was not in existence before the 1st Century A.D. In what is perhaps the world’s first encyclopedia, the famous Roman historian Pliny clearly referred to a bright green gem from the Island of Zabargad as 'Topazion' or ‘Topazos’. In fact this term was used to denote Peridot up until the fall of the Roman Empire. However, during Pliny’s time it was not uncommon that gemstones received more than one name, and that unrelated gems share names in common. One such generic appendage was ‘Paederos’ (Greek for: ‘Beautiful Youth’), or the later version of ‘Pederote,’ (Latin: pronounced Ped-or-oat): employed by Pliny to denote amongst others amethyst and opal. In fact the less discerning Roman public used ‘Pederote’ to refer to most good-looking gems. 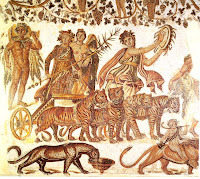 Towards the end of the Roman Empire, Western Europe fell to the barbarians, but in the Near East Roman culture survived within the Byzantine Empire. Under the Byzantines, words and languages bequeathed by the previous Greek and Roman cultures were continued. Similarly art and culture prospered, especially the skills of the lapidaries. However, soon enough the East became the envy of the West, and under the pious concept of reuniting Christendom with the West, the crusades began. France, at the fore of the eight crusades taking place between the 10th and the 12th Centuries, was represented in the Holy Lands by the Templar Knights. It was during the crusades of the medieval period that a perversion of the word ‘Pederote’ resurfaced. It appeared in the French book ‘Les Lapidaries Français,’ written sometime between 1100 and 1250 A.D. The ‘Lapidaire Français,' was written specifically for the use by the educated Norman aristocracy, who also occupied England at the time. The book outlined 60 gems giving their medicinal value, magical properties and moral significations: one of the featured gems was the ‘Pedoretés’ (pronounced Peh-door-ray). The first recorded instance of this word in popular use by the aristocracy appears in a 11th Century message written by the French lord, Mont Cassin de Solinus, where he uses a word to describe a green gemstone: ‘Perodote’ (pronounced Peh-roh-doh). However, comparing Solinus' later ‘Perodote' (Peh-roh-doh) with the earlier ‘Lapidaire Français' ‘Pedoretés' (Peh-door-ray), we can hear and see that there has been a reversal of the second and third syllable. In linguistics this is called a ‘Metathesis': a phenomenon where two sounds appearing in particular order in one word, overtime will occur in the reverse order in the same word. French etymologists from the ‘Académie Français’ believe that this explains the shift in the two words. As mentioned before, the Norman French occupied England during this period, and the aristocracy imposed their language upon their English subjects. This greatly influenced the development of the English language: causing Old French words to be assimilated into the Middle English language. However, Peridot wasn’t the only alias to be appropriated to the green gemstone from these sources. Up until the 19th Century A.D., another Greek word was also used to denote Peridot and gemstones similar in aspect: Chrysolite. This originally came from the Greek ‘Khrysolithos’, ‘Khryso’ meaning golden and ‘Lithos’ meaning stone. It transformed into ‘Chrysolithus’ in Latin, and ‘Crisolite’ in Old French, eventually becoming ‘Chrysolite’ in Middle English. The French poet Philippe de Thaon wrote the following excerpt in 1112 A.D.: ‘Crisolite ure celeste, qui ourent out vie terrestre.’ Translated the passage reads: ‘Chrysolite the celestial happiness, which they had with the terrestrial life.’ However, there is no conclusive proof to indicate that he was talking of our Peridot, as Chrysolite was also used to describe the majority of all yellow to yellow-green transparent gemstones including: Topaz, prehnite, apatite, sapphire, chrysoberyl, beryl, tourmaline, and andradite garnet. By today’s standards such an inaccurate, generic term is disused. A similar term of equally broad connotations was also appropriated to Peridot: Olivine. This originated from the Greek ‘Elaiw’ or ‘Elai’, transforming to the Latin ‘Olva’ and eventually to the French ‘Olivine’. In 17th Century France Olivine was a jeweler’s term for a variety of Chrysolite, today it is a term used to denote one of the most common mineral types on the Earth’s surface, a magnesium/iron silicate in which the ratio of magnesium and iron vary between the two mineral extremities: Forsterite (Mg2SiO4) and Fayalite (Fe2SiO4). Peridot is actually a rare sub-species of the Olivine group: Forsterite-Olivine. Forsterite, the mineralogical term used to denote the Olivine species of Peridot, was named in honor of the German mineralogist J. R. Forster. It is important to state that the etymological theories on these pages are speculative, and should not be taken as gospel. 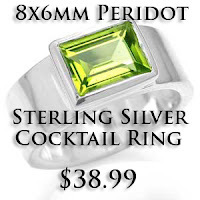 Written for SilverShake, an online retailer of silver peridot jewelry and sterling silver jewelry at wholesale prices. Purchase today and get silver jewelry worth up to $60...Free! SilverShake.com is a multi-national team of creative forces united under one roof. Our goal: Offer in-trend, high quality, finely finished sterling silver jewelry for realistic prices, while maintaining 100% client satisfaction. Copyright © SilverShake Corporation All Rights Reserved. Open An Account With One Of These Services. Then Click On Their Logo Below To Add Our RSS Feed To That Chosen Service. We Suggest My Yahoo. 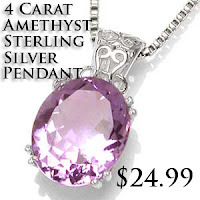 Click Here Buy Any Item Regardless Of Price And Receive Sterling Silver Gemstone Jewelry...Free!